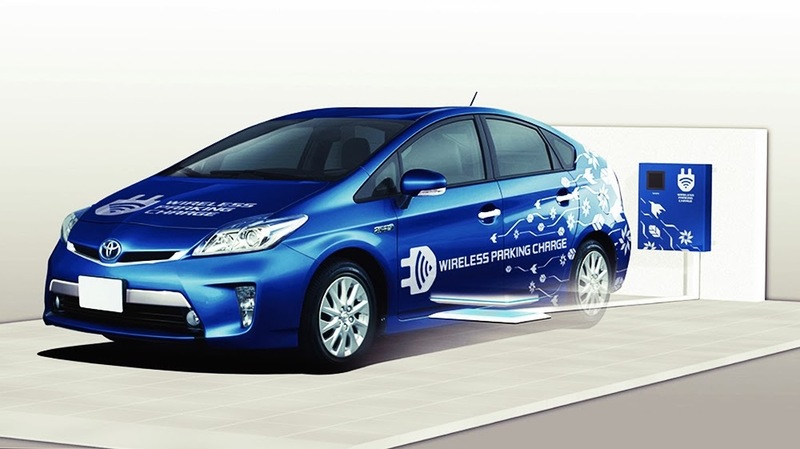 Toyota developing wireless charging System for vehicle models of plug-in hybrid with zero cables - Toyota began to seriously develop and test a wireless charging technology that will be used in cars plug-in hybrid models. Wireless charging technology has been shown in the LE Concept Infiniti vehicles with zero cables, 100% luxury, Zero emission, Infiniti LE Concept with Zero cables is not just a fantasy, which will become a reality in 2014. Wireless charging System is not a new terms, because this wireless charging System has been applied to several smartphones. Now the car manufacturer Toyota has been seriously developed a wireless charging System technology, the zero charging cables carried on the parking charge is connected through a wireless device to the coil sets are planted in the parking of vehicles. At Infiniti LE Concept, the vehicle will automatically put in the right position in the area of wireless parking charge by utilizing the Intelligent Parking Assist, so the vehicle battery can be charged by itself in the wireless parking charge (the location of the transmitter coil in the parking lot). Intelligent Parking Assist technology is updated by Toyota, will make the vehicle automatically place the vehicle on a special mat that emits energy to be absorbed. When the vehicle is located directly above the transmitter that sends electricity, then automatically transmitting coil in the ground to use magnetic resonance to transmit electric current into the coils are mounted on the vehicle. Toyota intends to launch this technology and applied models of plug-in hybrids are expected only takes about 90 minutes to fully charge the battery, with a power of 2 kW and 200V AC input voltage. A special charging system is created on a vehicle that uses electric motors as propulsion, magnetic resonance mechanism created by the intensity of the magnetic field between the coils in the mattress with coils found in the vehicle, is claimed to increase power transmission efficiency caused by the difference in height level between the coils. With this technology, charging the battery on the vehicle will be much easier and efficient. Facilitate wireless charging System in battery charging because it does not require the use of a connector cable (zero cables). Wireless Battery Charging System Toyota with Magnetic Resonance method that uses frequency 85 kHz, with input voltage AC 200V, 2kW Power Charger, time / long are refueling about 90 minutes. "Article : Toyota developing wireless charging System for vehicle models of plug-in hybrid with zero cables"